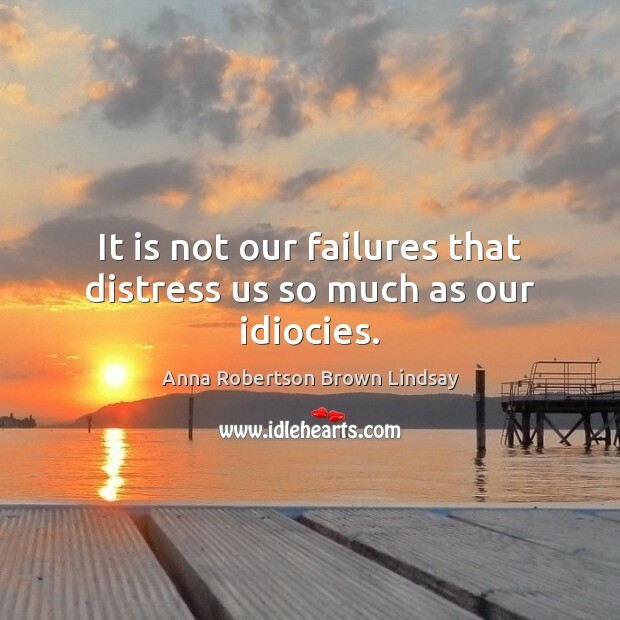 Enjoy the best inspirational, motivational, positive, funny and famous quotes by Anna Robertson Brown Lindsay. Use words and picture quotations to push forward and inspire you keep going in life! Value work. But not any kind of work. 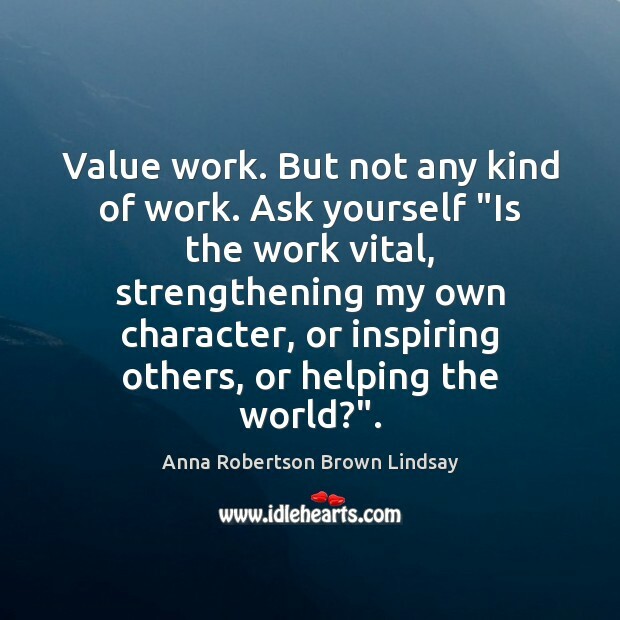 Ask yourself "Is the work vital, strengthening my own character, or inspiring others, or helping the world?". 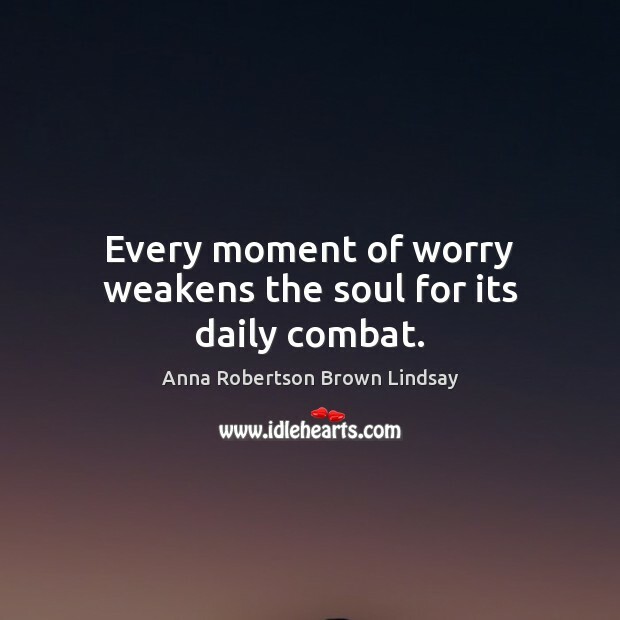 Every moment of worry weakens the soul for its daily combat. 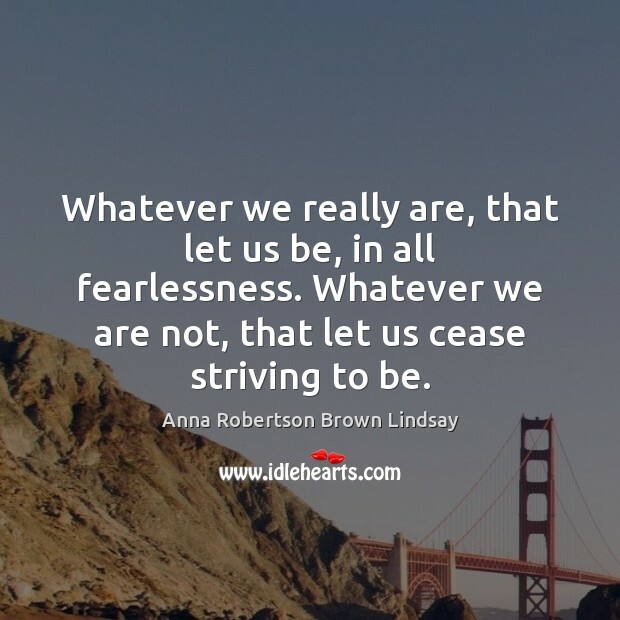 Whatever we really are, that let us be, in all fearlessness. Whatever we are not, that let us cease striving to be. 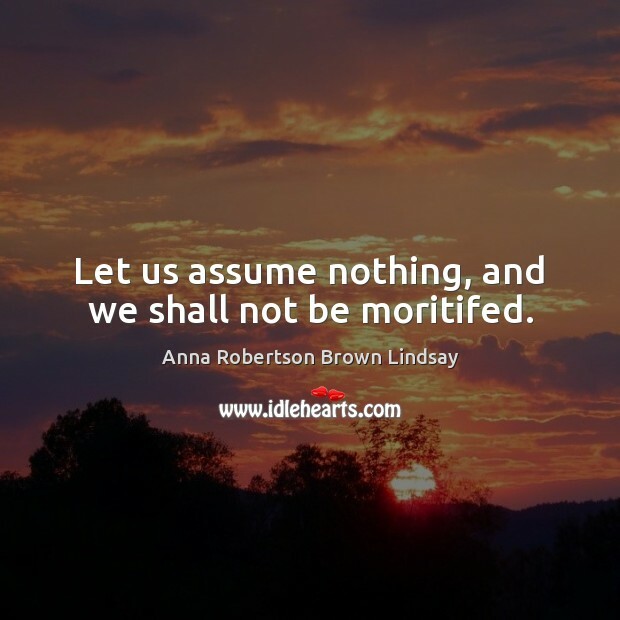 Let us assume nothing, and we shall not be moritifed. Life is large. We cannot possibly grasp the whole of it in the few years that we have to live. What is vital? What is essential? 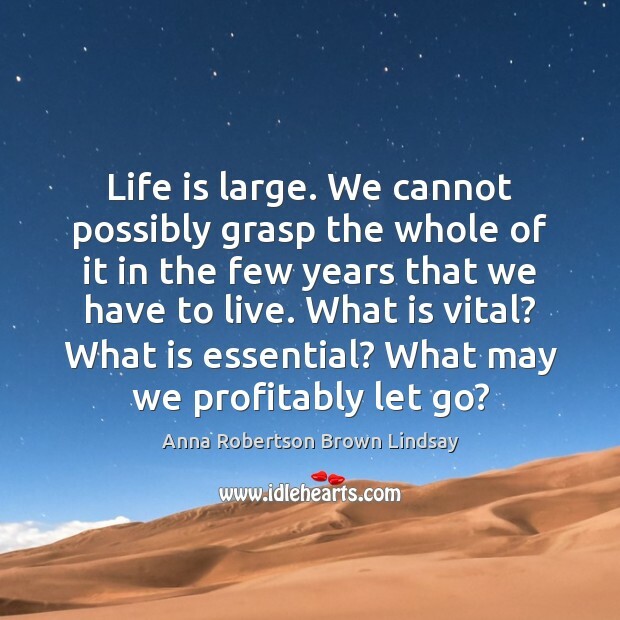 What may we profitably let go? 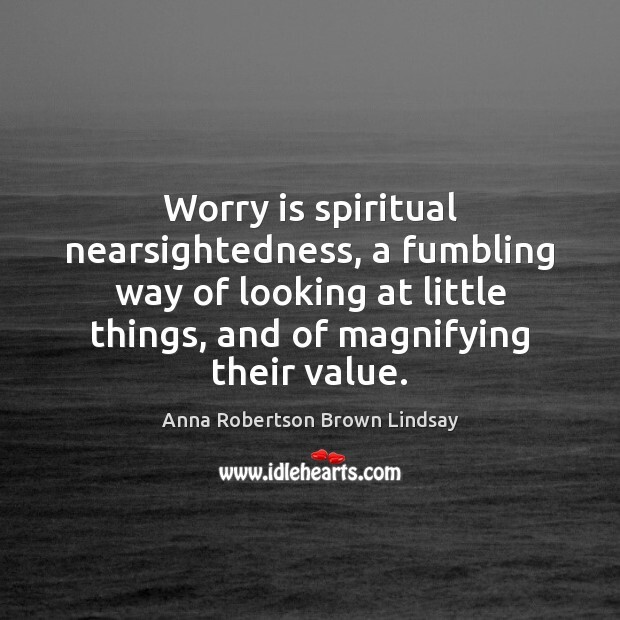 Worry is spiritual nearsightedness, a fumbling way of looking at little things, and of magnifying their value. It is not our failures that distress us so much as our idiocies. 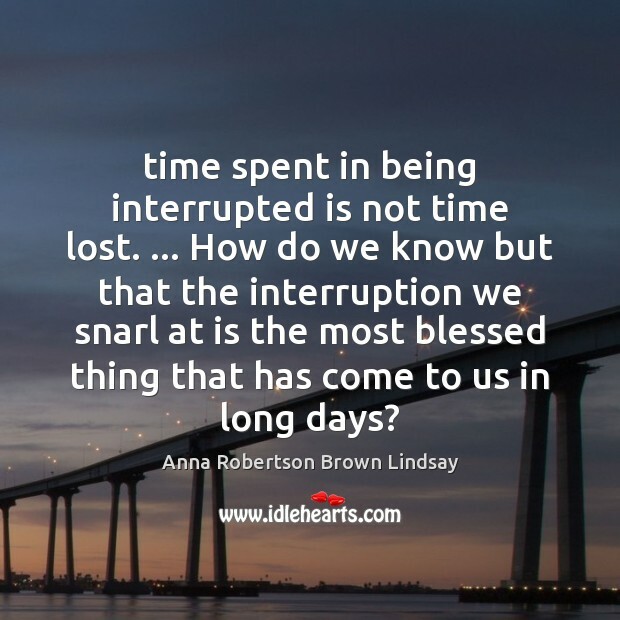 time spent in being interrupted is not time lost. ... How do we know but that the interruption we snarl at is the most blessed thing that has come to us in long days? 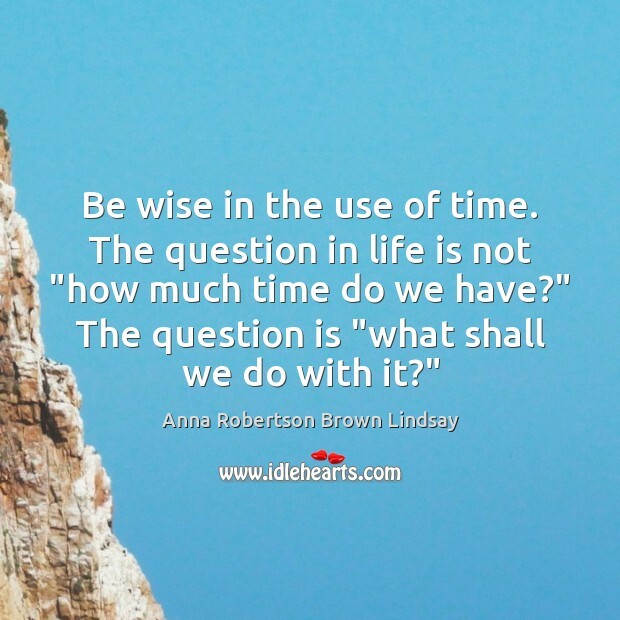 Be wise in the use of time. The question in life is not "how much time do we have?" The question is "what shall we do with it?"